(Part 1 of 2) Time management: Does your calendar mesh with your values and priorities? If you really want to know what someone values, check their calendar and their checkbook. So says Jim Tressel, president of Youngstown State University (YSU) and former national champion head football coach at both YSU and The Ohio State University. 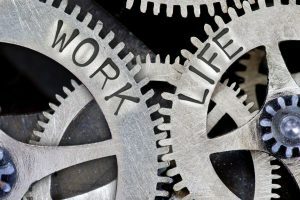 Tressel, who shares a connection to the Mahoning Valley with Simon Roofing, which is headquartered in Youngstown, Ohio, recently shared some of his valuable time with us to offer his thoughts on time management. People can tell you anything they want, he says, like “My family is most important to me” or “My faith is most important to me” or “Serving the community is most important to me,” but when you look at their calendar – and what they spend their money on – it doesn’t always match what they say. Tressel has made a longstanding practice of keeping a good accounting of how he uses his time. Tressel continued explaining that when people audit themselves, they can better understand why they don’t feel like they’re accomplishing as much as they hope to. “What’s interesting is that when you document your time, you may find you’re allowing yourself to get pulled off course in many different directions and spending time on things that don’t have much to do with your main mission and your main focus,” he said. In Part 2, we’ll cover Jim Tressel’s 6 keys to time management success.